We at Muriya have launched close to 1000 rooms in five years across Hawana Salalah and Jebel Sifah. Partnering with hotels that share our values, our developments boast some of the world's best hotel brands. Our dedication to promoting Oman as a year-round destination has seen us introduce direct flights from various European countries as well as new charter flights and new tour operators from the rest of the world. 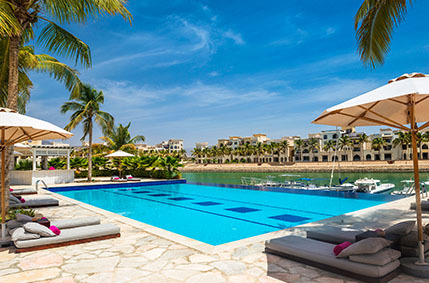 Curving around the marina and inland lagoons, Hawana Salalah is home to three hotels with two more scheduled additions, ensuring that guests can choose from a world class variety of hospitality options. Inspired by the region's ancient heritage, the Salalah Rotana Resort interprets Arabian architecture to meet the highest standards of exclusivity and sophistication. 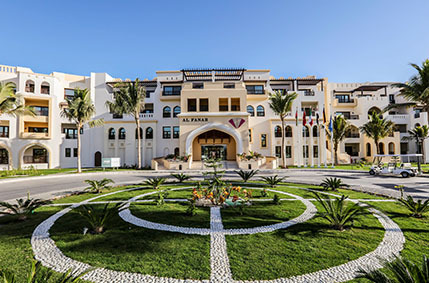 Its 422 rooms and suites are stylish oases of comfort and refinement, while the idyllic setting and first-class amenities of the wider resort offer guests with a wealth of leisure, dining and recreation experiences. Surrounded by three pristine private beaches, the five-star Fanar Hotel & Residences sits on the Eastern tip of Hawana Salalah's marina. Offering 400 guest rooms and suites with spacious private terraces and ocean or marina views, this unique hotel also has several sophisticated dining options as well a spa and fitness suite, kid's club, corporate spaces and a 140-person outdoor amphitheatre. 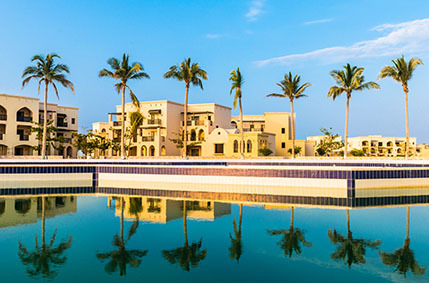 With an idyllic marina-side location, Salalah's four-star Juweira Boutique Hotel blends traditional Arabian influences with contemporary design elements. The 82 rooms benefit from ocean, marina or lagoon views and include sophisticated suites, spacious family rooms and well-equipped one-, two- and three-bedroom apartments. Enjoy poolside refreshments at Al Boom Bar or dine at one of its fine-dining restaurants offering traditional and international gastronomic treats. 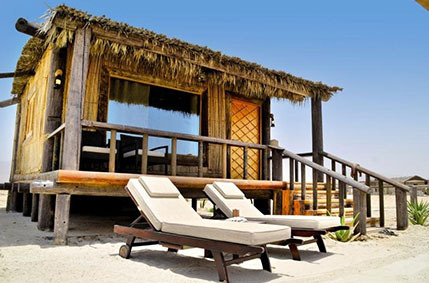 Capturing the spirit of the Bedouin, Souly Lodge features 15 ocean-front, handcrafted wooden and palm frond luxury huts, all made from natural material and positioned on a serene, sandy beach that’s also home to some very friendly camels. Enjoy traditional meals, aromatically seasoned and slow cooked for hours in a Bedouin tent, while you appreciate live music performances, then relax around the campfire, feel the buzz beneath your skin and explore the spectacular starlit skies, knowing tomorrow is still hours away. Known for its high end, all-inclusive offerings, Club Med is set to build its first Omani resort in Salalah, with 398 rooms, various food and beverage options, pool and leisure facilities, a night club and more set along 480m of sea front. Mövenpick will be making its Omani debut in Salalah, with 391 guestrooms set along 450 of beach and a romantic lagoon with water taxi, as well as unique restaurants, meeting and conference facilities, leisure and spa offerings and stylish bars. Jebel Sifah offers a thriving community life that mirrors the nature of the Omani people: welcoming, warm and hospitable. Its hospitality options do and will continue to reflect this. 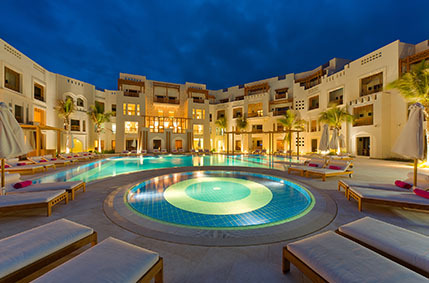 The four-star Sifawy Boutique Hotel in Jebel Sifah boasts 67 tastefully-decorated, comfortable rooms, suites and residences, each with a private balcony. Contemporary with a quintessentially Arabian soul, this resort's main entertainment hub offers world-class restaurants, cafes, boutique shops and night-life activities. With 90 hotels in almost 37 countries, the Four Seasons is the epitome of luxury service and will open its first hotel in the Sultanate at Jebel Sifah. Boasting 660m of seafront, the hotel will have 200 guestrooms as well as 70 real estate villas on offer, speciality restaurants, fitness, spa and leisure facilities, and business and banquet rooms. Under development by property developers Musstir, this five-star resort in Jebel Sifah will be situated on 300m of pristine sandy beach, its unique beach-front facilities including a spectacular beach pool and club featuring a private jetty, water sports facilities, beach restaurant and convention centre. Negotiations are underway with various world-class hotel operators for a five-star hotel on a 320m stretch of private beach. The hotel will feature various sports and leisure facilities, fine dining options, bars, spa and fitness centres, a kids club and numerous gardens.